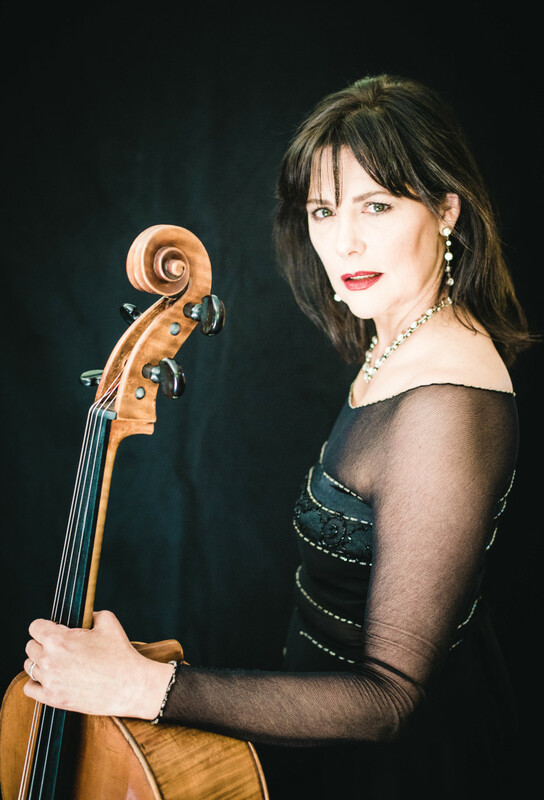 Her passion and inspiration as soloist and teacher stem from regarding the cello as an extension of herself – her voice – and is fueled by her conviction that music is in essence about human connection. Her “earnest emotive string colour with every phrase, always traversing a glorious pathway, direct from the heart to the fingers” has been hailed as the “hallmark of du Plessis’ delivery” (Otago Daily Times). 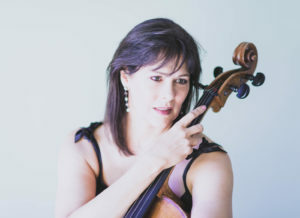 Heleen du Plessis is a highly qualified, inspirational cellist, the innovative mind behind and leader of creative research-led performance projects, an experienced coach in muscular awareness and skill development of musicians, teacher of cello, chamber music and pedagogy of cello and music teaching. “Du Plessis produced magical sound contrasts and meaningful phrasing, her incredibly accurate technical control emphasized attention to fine detail on the one hand and explosive eruptions on the other hand, fully enlightening the contents of the work” (Beeld). 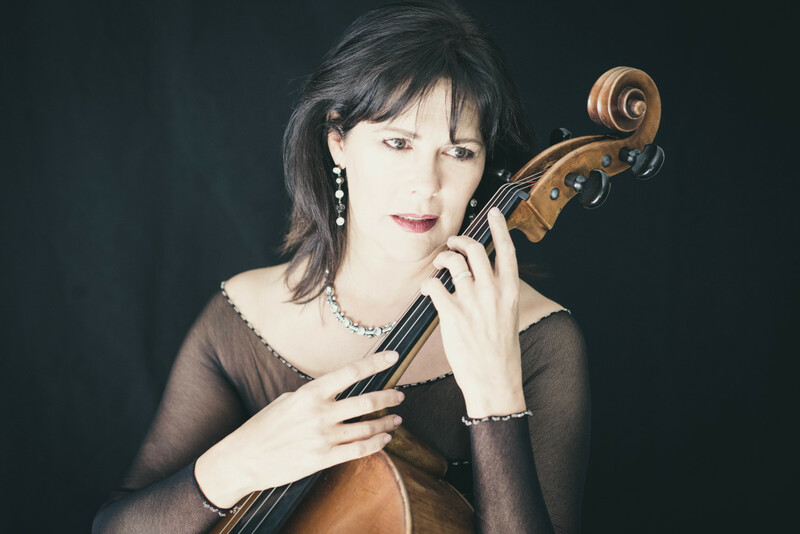 With international experience as soloist, chamber musician, and cellist in orchestras, she has established herself as one of the leading cellists and teachers of South Africa and of her adopted home, New Zealand. Heleen has four postgraduate qualifications, from Conservatory of Geneva in Switzerland where she studied under Daniel Grosgurin, the Peabody Institute of the John Hopkins University in Baltimore, USA, under the tutelage of Amit Peled, and the University of Otago where she was awarded a Doctor of Musical Arts (DMA). “a relaxed, unpretentious delivery and engaging stage presence, compelling her audience to become immersed in her music-making” (Otago Daily Times). Under the guidance of esteemed cello masters including Janos Starker, Mstislav Rostropovich, Heidi Litchauer, Arto Noras, Antonio Ménéses, Carter Brey, Richard Aaron, and Burton Kaplan, she has refined the art of teaching and playing. The level and impact of her work as soloist, recording artist and producer/director has been recognised in numerous national and international editorials and favourable reviews, radio interviews, and broadcasts and has been supported by extensive internal and external funding. She has integrated her life journey and search for identity and belonging with performance and research. 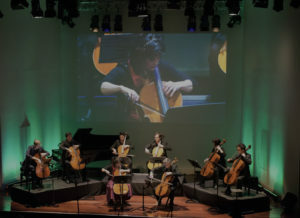 Cello for Africa and Cellists Aotearoa are research-based performance productions of new music and music that crosses cultures and genres aimed at strengthening relations, building connections, and address who we are in relation to where we are. They investigate ways in which music and performance contribute to strengthening roots, connecting to place and finding a ‘sense of place’. She commissioned several works by foremost South African and New Zealand composers, which she premiered and recorded with renowned artists from both countries, with the support of substantial grants. “Her playing had a level of concentration that held the capacity audience in rapt attention, constantly challenging her instrument to produce the tiniest whispers of sound with contrasting dazzling cadenzas…gorgeous, quietly breathtaking” (Bay Chronicle). Her interdisciplinary project Cello for Africa combined the cello with African instruments, fusing multi-cultural musical styles to explore, perform, reinforce and reflect diversity and create a forum for cultural interaction. It contributed to the composition of new works including ‘A Sense of Place’ for marimba and cello by Peter Klatzow and ‘Concerto for an African’ cellist for cello, African instruments, and orchestra by Hans Huyssen. Heleen was the first to perform and record the first cello concerto written for this combination and the first work for marimba and cello by a South African composer. Her CD was one of five in the world nominated for the prestigious International Listener’s Choice Awards and it was described as “embodying the highest standard of artistry and a very genuine attempt to build a meaningful cross-cultural dialogue”. Cello for Africa will be featured as part of a fundraising project of the Sinfonia of Hope in Wellington in November 2019. Her multimedia performance, Cellists Aotearoa at the Dunedin Arts Festival, assembled poetry, videos, and New Zealand landscape photography by Pieter du Plessis. Curated to apply theories of landscape and music as markers and reinforcers of identity, the works commissioned for cello solo and cello ensemble included Memories of Purakaunui’ by Anthony Ritchie, Doubtful Sound by Trevor Coleman, and Turangawaewae by Corwin Newall. These projects represent a personal journey of identity transformation, from belonging to a single ethnicity, nation and continent, to multiple belonging and ultimately as being part of an infinite connection to the universe and members of one human family. Her latest commission Tahunui-a-rangi, the first ever New Zealand composition for marimba and cello, by Gareth Farr, is based on the Maori interpretation of the Aurora Australis emphasising spiritual connection and universal belonging. 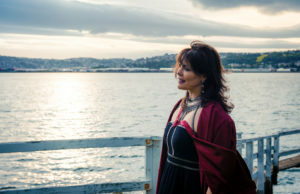 It won a Creative New Zealand Arts Grant and will form part of a 2019 Chamber Music New Zealand tour with marimba virtuoso, Yoshiko Tsuruta, in their newly formed Duo Col Legno. Duo Col Legno’s Chamber Music New Zealand Tour, May 2019. See the our programme CMNZ and website. Heleen regularly performs with foremost artists in innovative combinations, and imaginative programmes include New Zealand guitarist Matthew Marshall, internationally renowned pianist Terence Dennis, and flute virtuoso Luca Manghi. With the Peninsula Trio (Trevor Colman, keyboard and Nick Cornish, saxophone) she recorded ‘Polycycles’ with compositions by Trevor Coleman. Experience in orchestras include tutti player with the New Zealand Symphony Orchestra, sub-principal of the National Symphony Orchestra of South Africa, and principal cellist of the Dunedin Symphony Orchestra. The art and science of teaching is her greatest passion and forte. Her unique approach integrates aspects of her studies into the pedagogy of scale systems of foremost cellist teachers and its link to musical expression, knowledge of how we learn and teach and, as the result of a back injury, her own experience of relearning movement. The most unique quality of her teaching therefore comes from the study of the biomechanics of movement through the use of Surface Electromyographic analysis (SEMG). She has presented her research ‘Mind Muscles Movement and Music’, at The Waikato International Cello Festival, University of Otago Public lectures and the New Zealand Institute of Registered Music Teachers (IRMTNZ) national conference. “pain has been my best teacher – a source of physical and technical discovery that led to, not only to be pain free but also improved sound quality, intonation, concentration and freedom of expression”. Heleen taught cello and chamber music at the University of Pretoria for 15 years and was a member of one of the most prominent South African chamber music groups, the Musaion Trio. She currently lectures in cello performance, pedagogy of music teaching and music theory at the University of Otago, and as director of Cellists of Otago she creates a vital musical environment for students and professional artists. Heleen offers master class group workshops and Skype lessons, courses in pedagogy of cello teaching, music teaching, and movement training in skill development of musicians. She regularly delivers lecture demonstrations on a variety of topics and serves on adjudicating and examination panels. The cello, which is central to her life and has taken her on many journeys of discovery and connected her with many people and places, is not just any cello – it is an instrument with a special story of its own, which sparked her love and passion for cello and provided a lifelong source of inspiration. “Born into a musical family in the picturesque town of Stellenbosch in the Cape Province of South Africa, I started cello at a young age with a British cellist, Julian Hart, at the University of Cape Town. Although I was Afrikaans speaking and Hart English, we had a perfect understanding and special connection through music, which transcended language barriers. When Julian died unexpectedly, I was devastated and vowed never to play the cello again. But, through a twist of fate or destiny Julian’s parents approached my father at the funeral and told him that after reading Julian’s diary inscriptions about me, they had decided to gift his cello to me. Ever since the age of ten I have played on this French cello dating from the early 1900s. It embodies a journey of its own—from Europe to Africa to New Zealand and from the historical to the contemporary”.